Is Mum a cheese lover? If so we have the perfect gift for her. Chilli and Bubbles know the perfect way to say Happy Mother's Day but to add an extra touch we include your words into the engraving on this beautiful beech wood board. 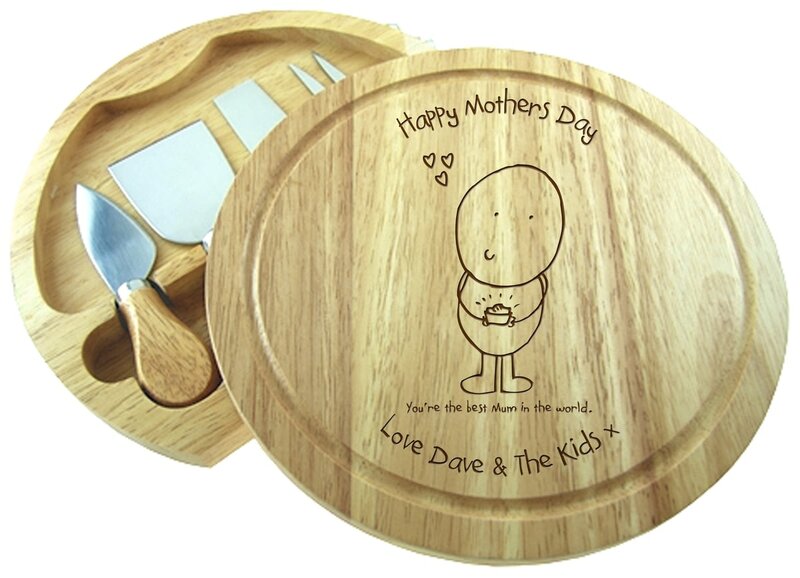 With its hidden cheese tools this cute little board makes a perfect addition to the kitchen whilst also letting Mum know she's the best!